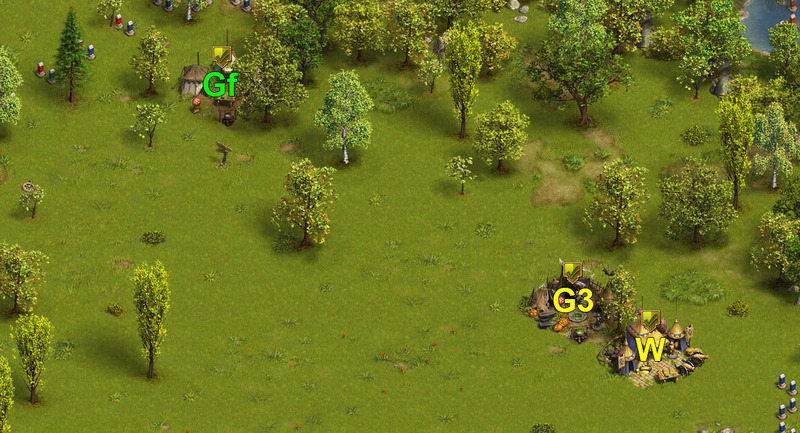 Attacking camp 9, send General to camp 10, General will be intercepted by camp 9. 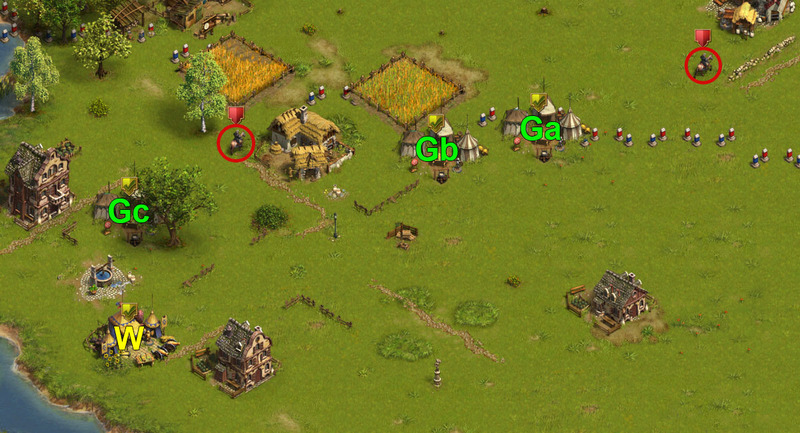 After winning the battle withdraw General. 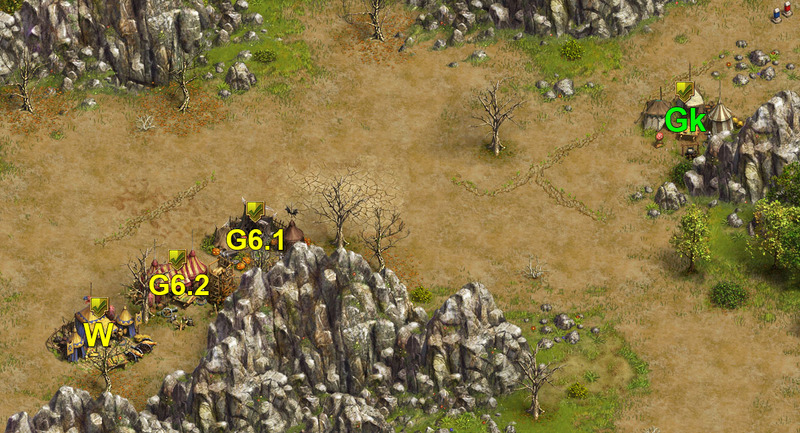 Attacking camp 17, send General to camp 18, General will be intercepted by camp 17. 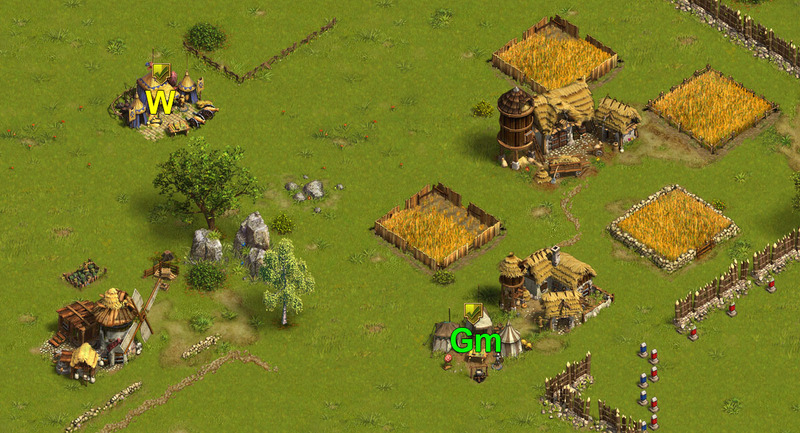 After winning the battle withdraw General. 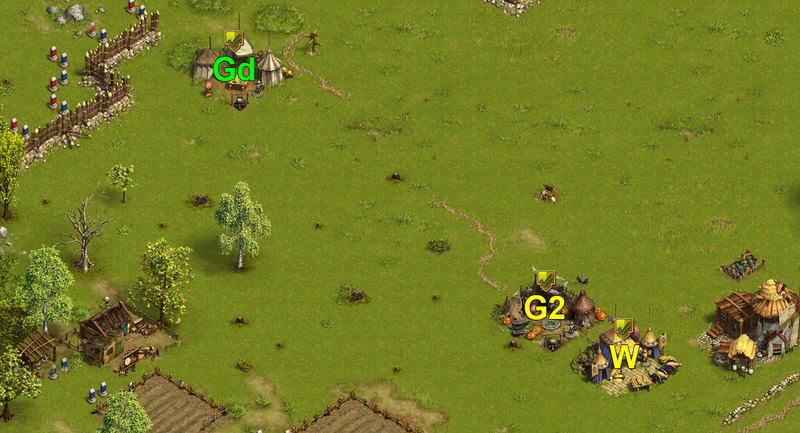 Attacking camp 26, send General to camp 27, General will be intercepted by camp 26. After winning the battle withdraw General. 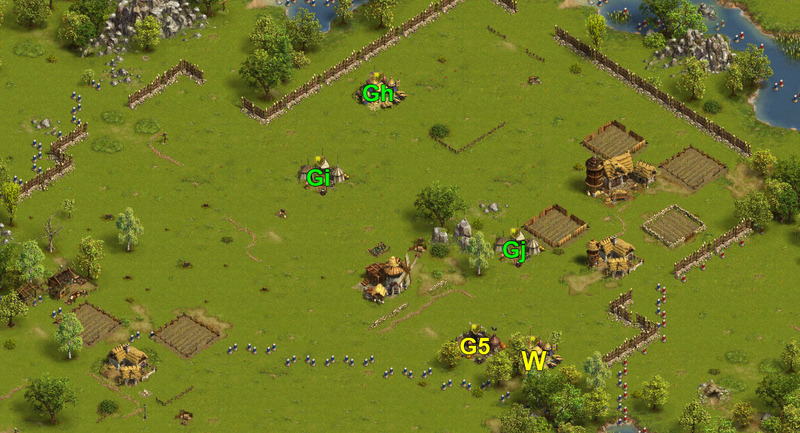 from W (1 wave (250) 135 Recruit, 1 Elite Soldier, 114 Cannoneer) send Veteran to camp 5.
from W (2 wave (250) 52 Recruit, 40 Bowman, 157 Crossbowman) send General and Veteran to camp 8.
from W (2 wave (250) 129 Recruit, 121 Cannoneer) send General and Veteran to camp 10. 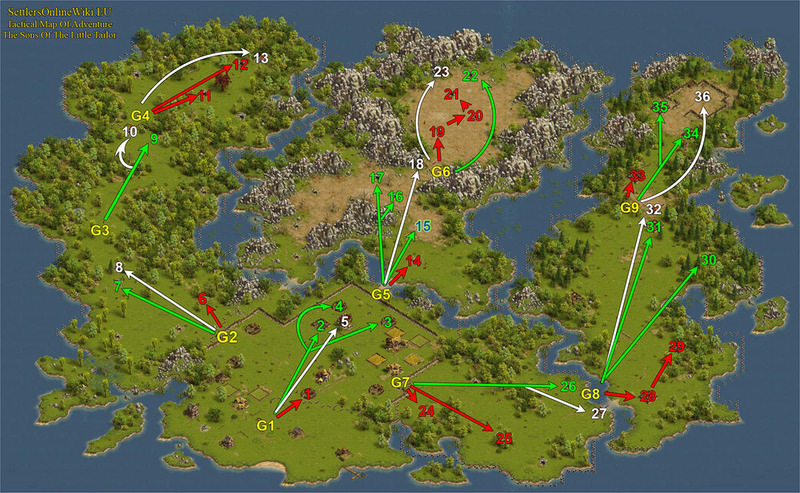 If you do not have two Veterans, you have to destroy the camp 15.
from W (2 wave (250) 107 Militia, 143 Cannoneer) send General and Veteran to camp 18.
from W (3 wave (250) 108 Militia, 142 Cannoneer) send Generals and Veteran to camp 23.
from W (1 wave (250) 98 Recruit, 1 Elite Soldier, 151 Cannoneer) send Veteran to camp 27.
from W (1 wave (250) 79 Soldier, 1 Elite Soldier, 90 Cavalry, 80 Cannoneer) send Veteran to camp 32.
from W (1 wave (250) 115 Recruit, 17 Militia, 1 Elite Soldier, 117 Cannoneer) send Veteran to camp 36.